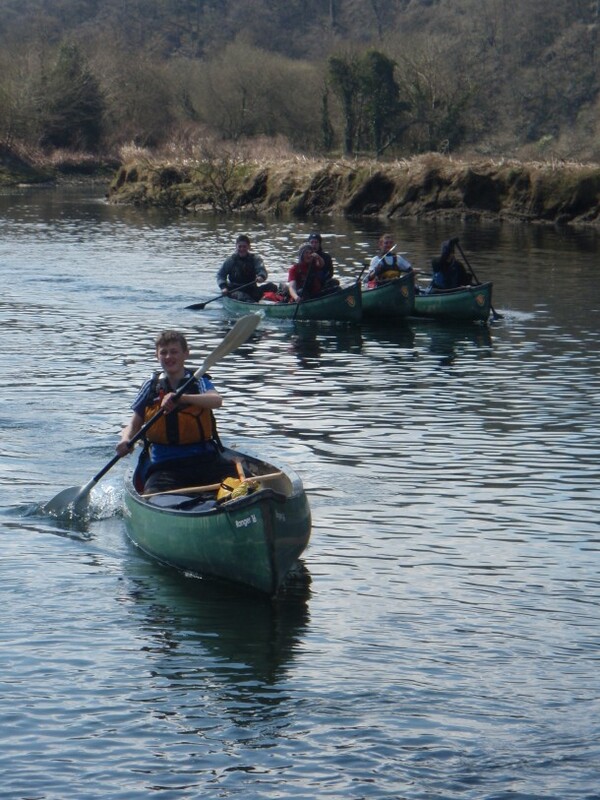 The Silver canoeing group completed Launceston College’s first ever canoe-based expedition over the Easter holidays, when they took part in their 3 day Silver DofE practice expedition on the river Tamar. The two teams started at Calstock on Thursday 4th April. Although the forecast looked good, the teams found themselves loading boats and launching with snow falling from the sky. This was going to be a cold few days. It didn’t take the teams long to paddle up river to their campsite. Once at the campsite the teams had to haul all of their kit and boats up the 10ft high river bank. Once into camp though the teams quickly pitched tents and settled down to dinner around the campfire. Day 2 started with a very laid back approach to breakfast of pancakes and a fry up. This laid back start and the fact that the tide was out further than the pontoon, causing a rather muddy launch, meant that the teams ended up making a late start. Despite this both teams made good time and even enjoyed a siesta in the sun at lunchtime. As they realised they paddled faster than they originally planned the afternoon’s return leg to camp was rather leisurely and involved floating down river. Once again after lugging all their kit uphill to camp the teams could relax and enjoy another evening spent around the campfire. The final day was the most challenging day with a 4.30am start in frost so heavy that tents were frozen inside and out. The teams had to time their route just right so that they could reach the tip of the Bere Peninsular as the tides turned at 10am to avoid paddling against it. This meant that teams were loading boats and on the water before the sun came up. The early start and difficult prior planning paid off when the group hit the peninsular bang on time. After making the turn the teams could relax and enjoyed the final part of the day paddling in the sunshine. They stopped at Bere Ferrers for an early lunch to wait for the rising tide. Once the tide had come up the river Tavy the teams could get back on the water and paddle up river to finish at Lopwell Dam. The practice expedition was a very enjoyable experience for students and staff alike. Everyone is now looking forward to the Qualifying expedition on the River Severn in July.